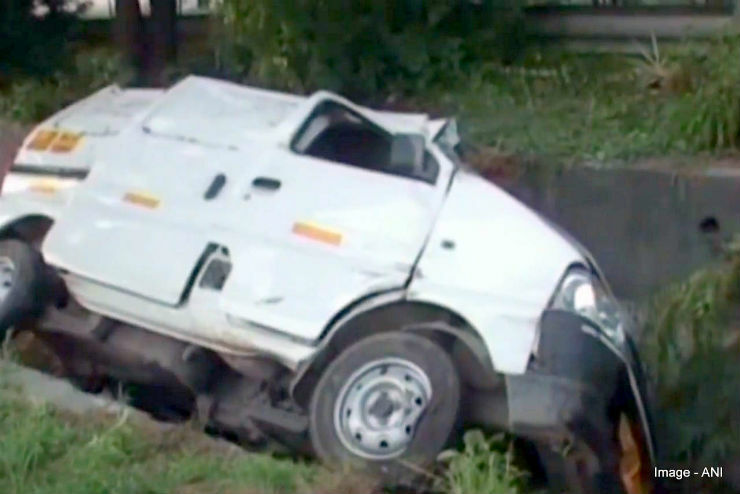 The CCTV footage of a shocking accident that took place on the Greater Noida Expressway has surfaced. The incident involved 3 vehicles — a Lamborghini Huracan, a Maruti Swift Dzire and a Maruti Eeco — and resulted in the death of one person. Above is the CCTV footage that shows what really happened. From the looks of it, the Swift Dzire was in a hurry and was cutting lanes. 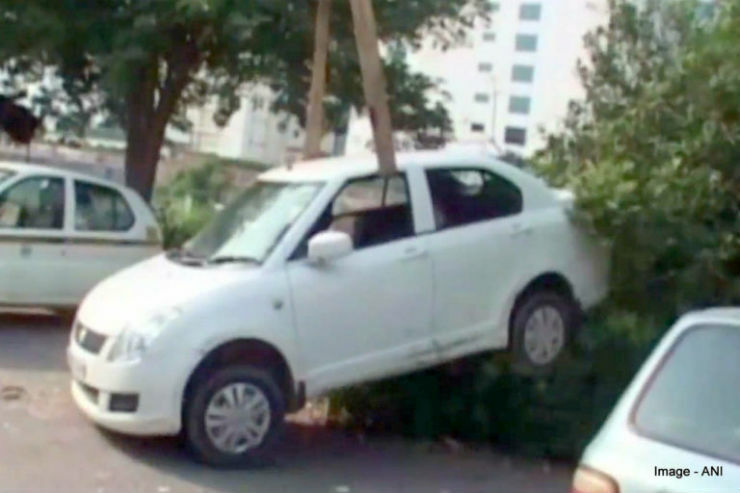 While trying to cut to the right, the Dzire lost control and hit the Lamborghini from the right. The Lamborghini driver on the other hand also moved to the left, which resulted in him hitting the Eeco,which was closely following him. 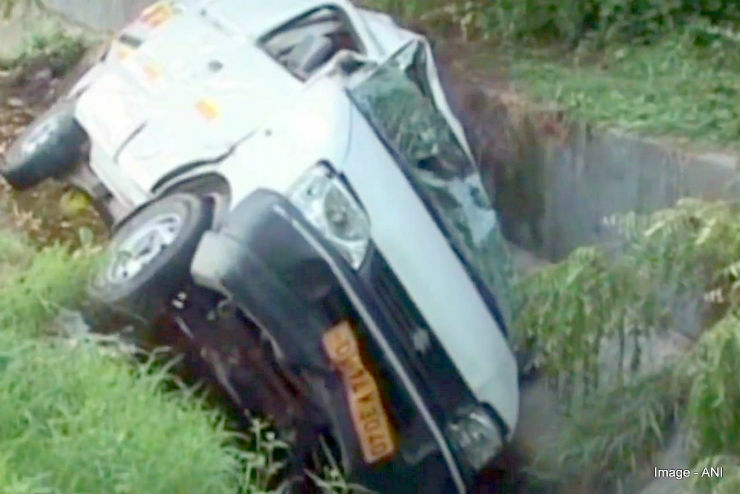 The resulting crash with the Huracan caused the Eeco to flip multiple times and go onto the side of the road, into the bushes and into a drain, something that is not visible in the CCTV footage. The Dzire on the other hand hits the divider after crashing into the Huracan, but continues going ahead. While the occupants of the Dzire and the Huracan didn’t face any injury, the driver of the Eeco sustained serious injuries and died before he reached the hospital. While both the Lamborghini and Dzire drivers fled the spot, the Dzire driver was later apprehended at Khurja, in Bulandshahr. The relatives of the deceased have filed a case against the driver of the Dzire. While there has been no case registered against the driver of the Lamborghini, police said that they are investigating whether the Lamborghini was speeding. The Greater Noida Expressway, where the incident occurred, is the road that connects Noida to Greater Noida and is also the entry point to the Yamuna Expressway. It has CCTV cameras all over and has average speed cameras located throughout the stretch, which means that anyone speeding is sent a challan home.